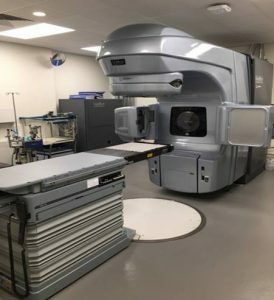 To continue to offer patients the most advanced technology available in veterinary medicine, the Radiation Oncology Service installed a new, state-of-the-art Varian iX linear accelerator and reopened to patients on September 24, 2018. Dr. Michele Keyerleber coordinated the efforts. The new linear accelerator has on-board imaging, including a cone beam CT scanner, to allow precise tumor localization. The linac also has RapidArc technology, which is the capability to rotate 360 degrees around the patient while simultaneously delivering the radiation, increasing the number of angles used to best shape the dose around the tumor Treatment planning for RapidArc is both time-consuming and complex but daily treatment delivery for the patient is more rapid. 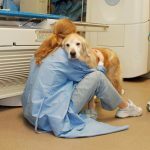 In some pets, a tumor may be completely eradicated by radiation therapy and no evidence of the tumor persists. 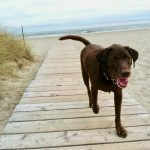 In other pets, the cancer or lump may never completely disappear, but growth is slowed or stopped and the tumor is essentially controlled for a period of time. 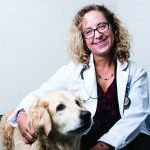 Treatments can also palliate clinical symptoms of cancer, thereby improving a pet’s quality of life. 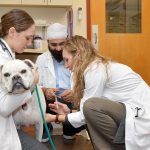 Cummings Veterinary Medical Center provides your cancer patients with the most advanced care while at Foster Hospital for Small Animals, with expertise from a team of board-certified specialists. Veterinary technicians with advanced anesthesia training also support the team. It is important for you to examine your patients periodically after radiation therapy is completed. Monitoring will need to be more frequent initially if the pet is experiencing any acute side effects. 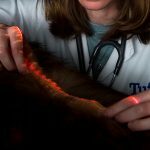 Long term recheck examinations are then important as they will allow late tissue side effects to be detected before they become advanced and the effect of the radiation on the tumor to be evaluated. 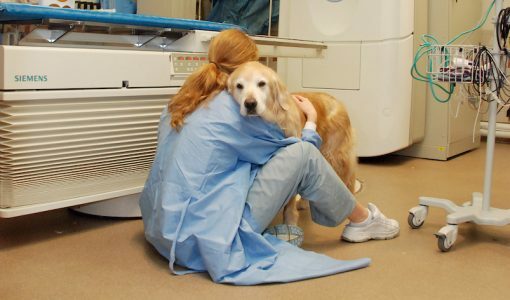 Our radiation oncologist will work closely with you in creating the best care plan for the pet.